Here are some interesting facts about the Archduke Franz Ferdinand. Archduke Franz Ferdinand was a Hungarian Prince, a Bohemian Prince and an Austrian Archduke. He was the heir to the throne of Austria-Hungary from 1896 until his death. He was born in Graz, Austria in 1863 and became heir to the throne at age 11. He joined the army as a young boy, became lieutenant at 14, and major-general at the age of 31. He enjoyed traveling and hunting, and he hunted kangaroos in Australia. He also visited China, Thailand, Canada, New Zealand and several countries in the South Pacific. The Archduke married Countess Sophie Chotek in July, 1900. She had no claim to the throne, and was not allowed to sit near him at public events or in their Royal car. Archduke Franz Ferdinand had ambitious plans for the Austro-Hungarian Empire. He wanted to create 16 separate states, and make sure the ethnic Slavs had a voice in the government. 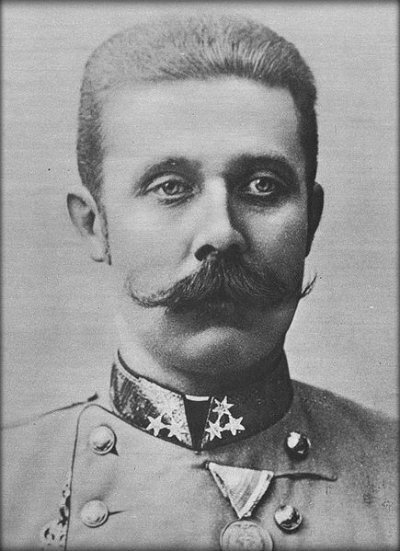 Archduke Franz Ferdinand was almost killed in Autumn, 1913 when a gun went off accidentally, missing him by a few feet. Had he been killed then, World War 1 may never have happened. He and his wife were killed by a secret Serbian military society, the Black Hand, on June 28th, 1914. The car they were travelling in at the time is in the Vienna Military History Museum. Earlier in the day, a bomb had been thrown at the car, but landed in the street, injuring several people. The car had its top down so spectators could better see the Archduke. The bullet fired by the assassin is in a museum in a castle in the Czech Republic. It is sometimes described as the bullet that started World War 1. His death was one of the events that caused the outbreak of World War 1 in 1914. The assassination led to Austria-Hungary declaring war against Serbia. This fact is really interesting.love it. The facts are interesting, it helped me with my English Homework. thanks.